Gentlemen’s hours today – arrived at Bongaree at 7.30 am. Sometimes it is great to focus on the same area over a few consecutive fishing sessions. 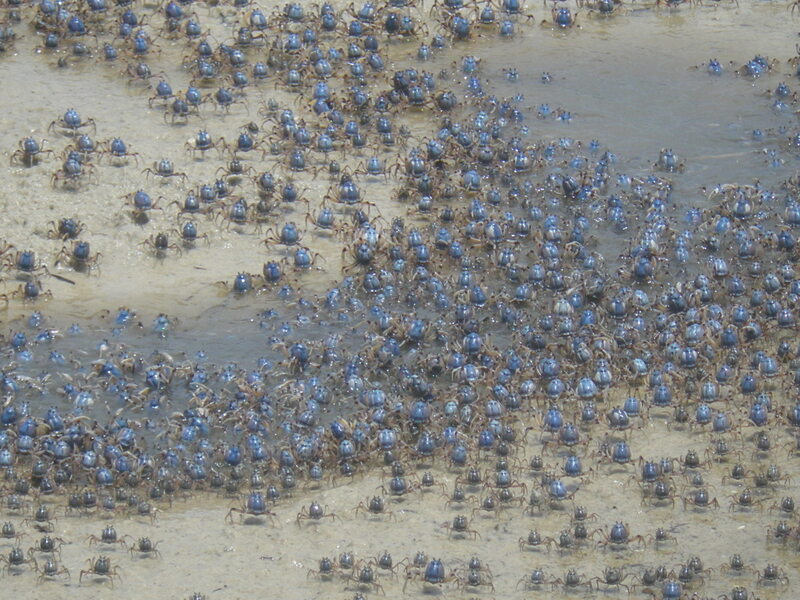 It enables you to really understand the food chain, water quality, influence of the tides and wind, etc. 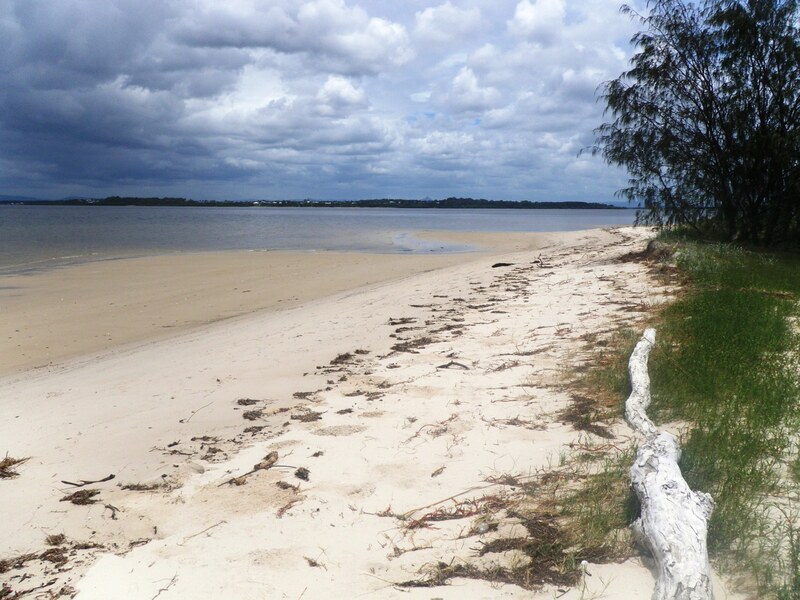 The contours of the sand flats and tidal lagoon in front of Buckley’s Hole at Bongaree, on Bribie Island, have changed dramatically over the last 3 or 4 years. When I started fishing this area, back in 2007, the tidal lagoon used to empty into the Passage about 200 metres further south of its current position. There was a well-defined coffee rock ledge that ran for about 100 metres on either side of the lagoon mouth. Now the lagoon empties into the Passage further north. It is gradually creeping up towards the fresh water creek that drains out by the new Seaside Museum. Over recent years there has also been a build-up of sand along the coffee rock ledge, so that it is less well-defined. I think the wild storms and floods we have had in the last couple of summers have caused this. In the dry years that preceded them, the natural flow of the Passage carved out a more obvious ledge along this stretch and gradually washed the sand south into the bay. Overall I think this ever-changing landscape is great for fishing, different species come and go as a different mix of bait turns up. As the holes and ledges keep moving around they are not so easy to find and don’t get over fished. This morning I focused on the north end of this area – the drain by the Seaside Museum. There is often a Flathead or two here. There is always plenty of bait around the drain on a high tide. Small Bream, Whiting, Herring and Pike, with occasional small schools of Tailor, that pass through. The water was Tea Tree stained but quite clear. 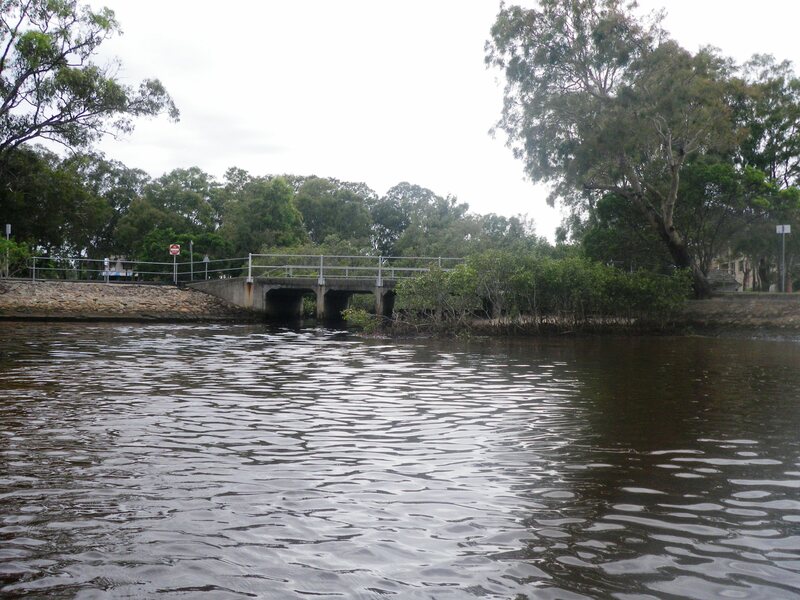 It was just after high tide so I could only wade a few metres out from the base of the rock wall and cast at the sand bank along the southern edge of the creek outlet. I was fishing with a GULP 2” Shrimp in the Peppered Prawn colour, on a 1/8th 1/0 jighead. The 8lb leader had been working well for me this week so I stuck with it. After a few casts I felt a bite, paused and struck – to quick, I missed it. Then it grabbed again and this time I did the full count to ten. When I lifted the rod, the fish was on. 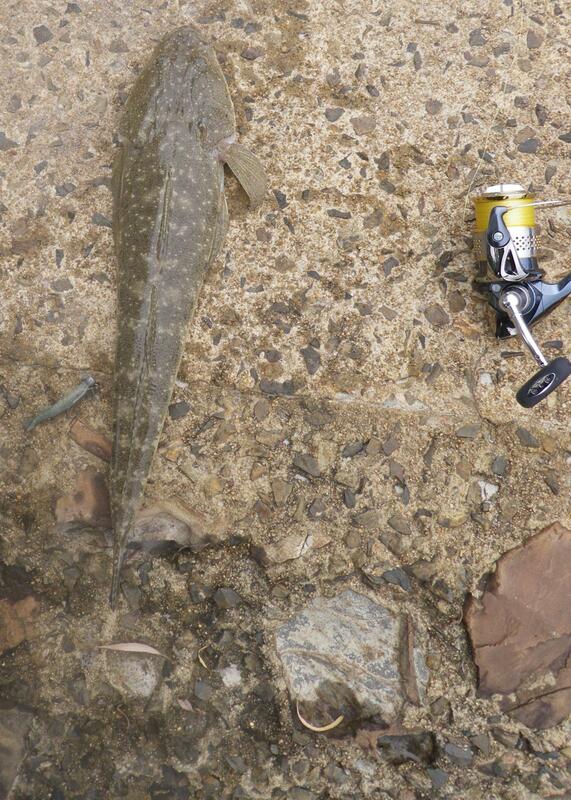 I pulled it back to shore, a 48cm Flathead. As I was measuring it, it gave me a good spiking then, wriggled off the rock wall, down to the water and won its freedom. I waded south, almost all the way to Red Beach, slowly casting plastics and hard bodies in all directions. Over the next three hours, I had a few very small bites and caught a couple of Pike but could not find another fish to take home. As the tide started to run out strongly, the water quality deteriorated and by the time it reached about 11.30 am, it was very dirty again. I couldn’t see any evidence of the weed beds that used to dot this area and I presume that they have been washed out by the big rains and high seas. As low tide approached there were plenty of soldier crabs around so I would think the Whiting and Flathead would be somewhere nearby. At about noon I gave up – it had been another disappointing fishing session and land-based fishing this summer is proving hard work. This entry was posted in Bribie Island, Fishing Reports. Bookmark the permalink. Thoroughly enjoying your blogs. You have inspired me to change the way I fish. Many thanks. I found the creek mouth near the museum and gave it a go, I see bait fish jumping so I tried some lures but got nothing then tried some herring which I caught off the Jetty and pulled out a tailor and a nice Estuary Cod.